Shelter Point doesn’t make champagne, but lately a lot of it has been flowing around here for one very good reason: our whisky’s ready! Here’s the 411, followed by a Q&A with Shelter Point founder and owner Patrick Evans. This inaugural batch was started in 2011 and has been aged for five years. The whisky base is 100% two-row barley, all sourced from Canadian farmers and now grown on Shelter Point Farm. The water used for distillation comes from an aquifer beneath the farm. 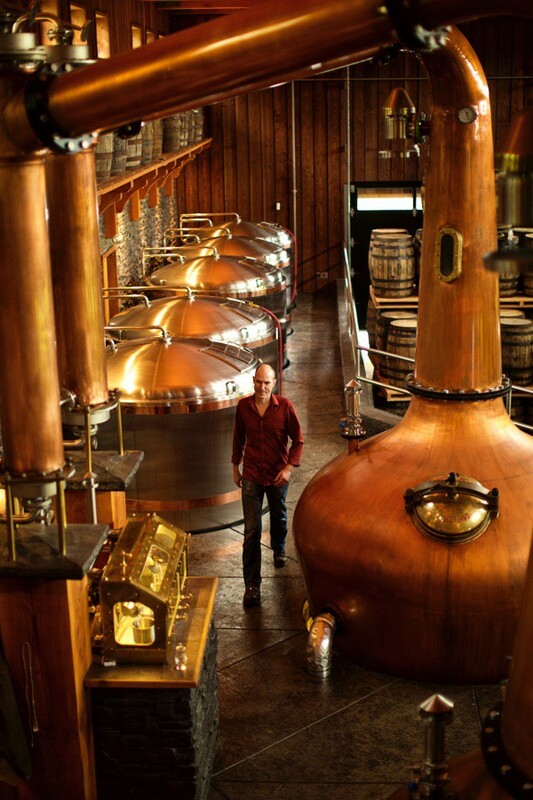 The whisky is double distilled in small batches in custom-designed copper pot stills that came all the way from Scotland. Subsequent batches will be triple distilled. 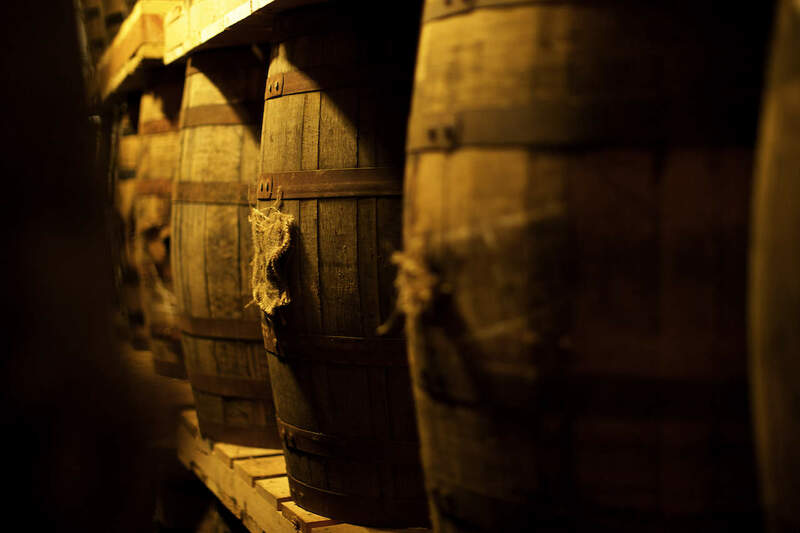 After distillation, the whisky was aged in hand-selected Kentucky bourbon barrels. The classic Tennessee-style bottle features a Vinolok glass closure and an original illustration of Shelter Point Farm by renowned illustrator Steve Noble. Critics have already been praising our new whisky and there’s no one prouder than Shelter Point’s founder and owner, Patrick Evans. 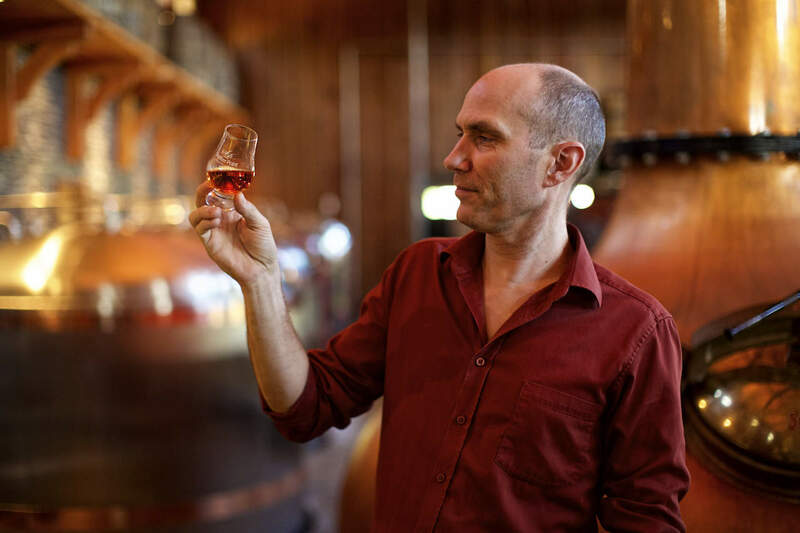 Here’s a brief Q&A with Patrick and his wife Kimm on the whisky’s launch. Q: How many bottles are in the inaugural run? Patrick: There are 1,200 cases of six bottles. We’re releasing 800 now, plus an additional 400 for rabid fans. Q: Where is your distribution? Patrick: So far we’re available at select stores in British Columbia and the Kensington Wine Market in Calgary. We may be selling more of it in the US, but we can’t confirm that yet. Q: Who was the first to sample it? Patrick: Our Director of Operations, James Marinus. One of the perks of the job! Q: Have you been seeking outside expertise? Patrick: We’d have been crazy not to! It takes collective wisdom to produce a great whisky, and at no point were we ever too proud to ask for help. 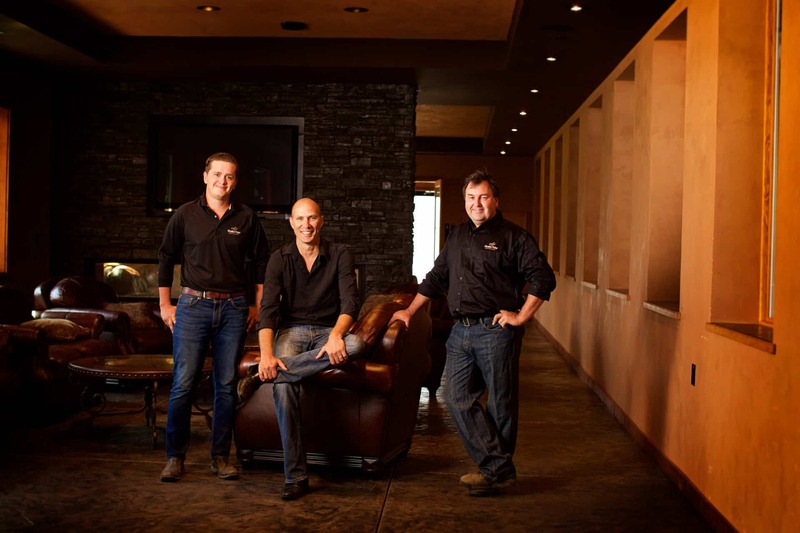 We’ve had highly respected nosing experts from around the globe helping us every step of the way. Q: It’s been a long half-decade. How have you both handled it? Kim: Being married to Patrick is like whisky – it’s getting better with age!